Pictured from L to R: Councillor Paul Gogarty, Mayor, South Dublin County; Clodagh O’Brien, Partner, Crowe; Darragh Flynn, Director of Flynn and Flynn Global; Daniel Mc Loughlin, Chief Executive, South Dublin County Council; Frank Nevin, Director of Economic, Enterprise and Tourism Development; Ciara Morley, Senior Consultant, EY-DKM Economic Advisory Services; Terre Duffy, Dublin’s Docklands Development Manager. 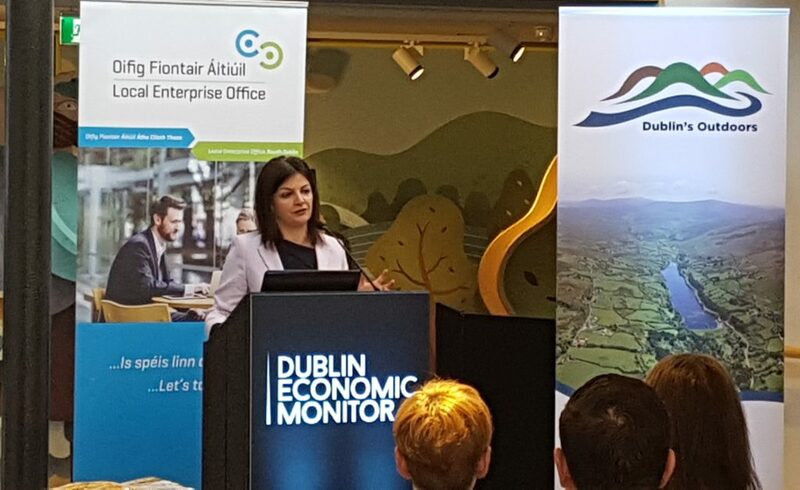 Crowe partner Clodagh O’Brien was invited by South Dublin County Council to be a keynote speaker at the launch of the latest Dublin Economic Monitor on Thursday 3 May. This is the 13th edition of the Dublin Economic Monitor which is a joint initiative on behalf of the four Dublin Local Authorities. Clodagh outlined the story behind the development and implementation of a tourism destination brand in the context of South Dublin County’s strategic marketing plan. The “Dublin’s Outdoors” brand was created by Crowe, in conjunction with South Dublin County Council and the local Tourism Working Group. 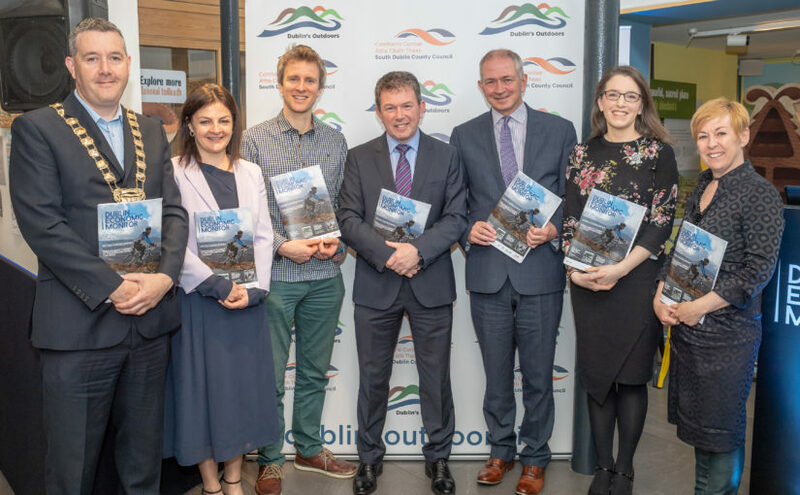 South Dublin County’s first tourism destination brand, “Dublin’s Outdoors” promotes the mountains, waterways and parks of the County. This South Dublin County’s tourism branding and marketing project is a good example of the types of projects Crowe’s consulting team work on: from research, through to brand development and the creation and implementation of a marketing strategy. For further information on this project or our other tourism/destination marketing strategies, please contact Clodagh O’Brien.